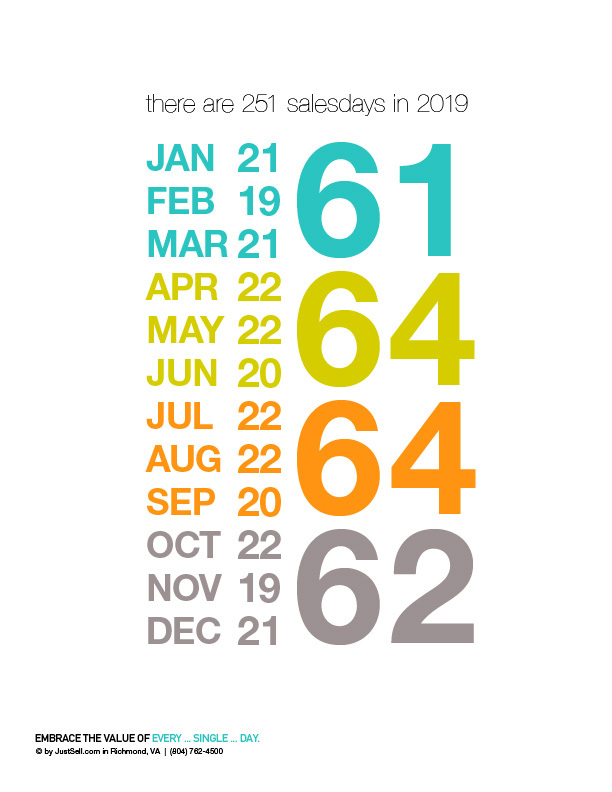 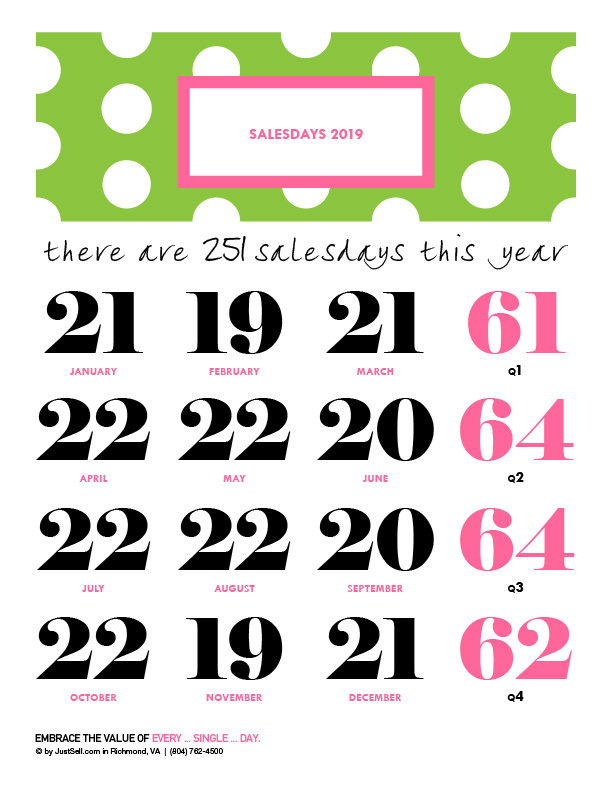 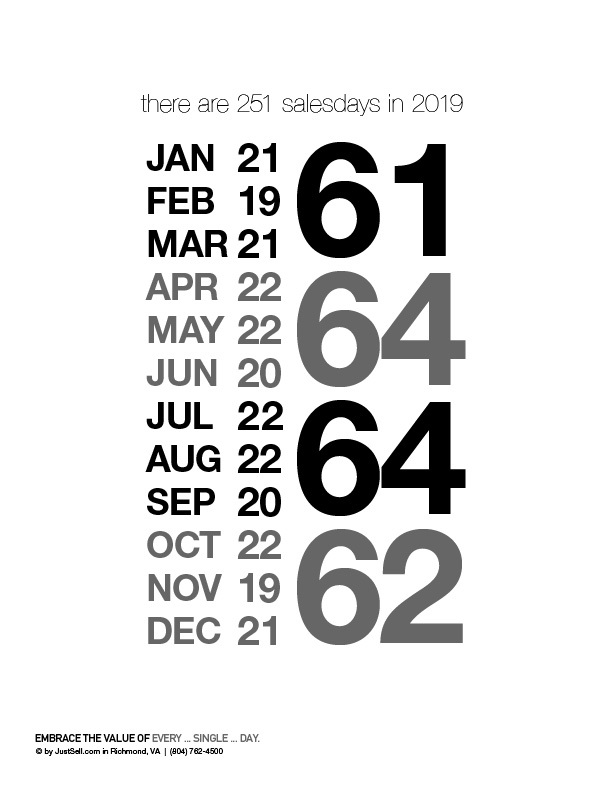 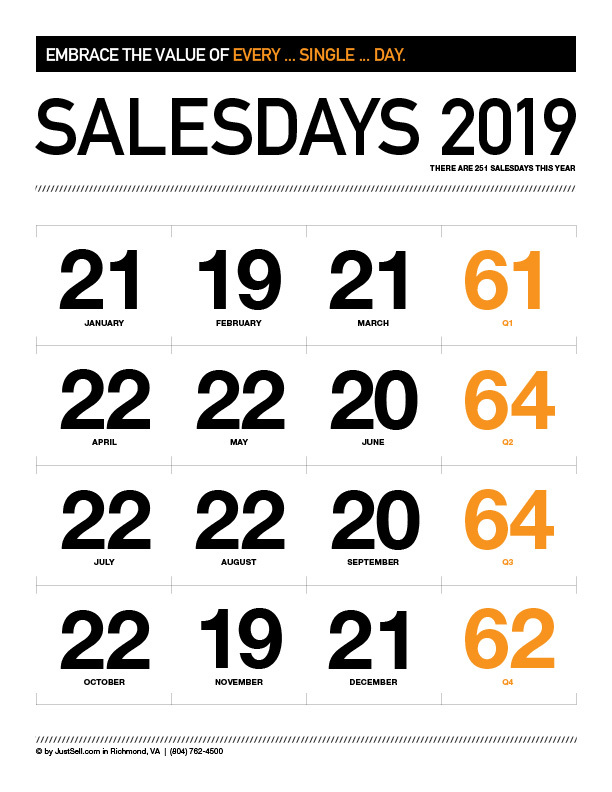 Those are your quarterly salesdays of opportunity for 2019 (251 in all … give or take a few depending on where you are or how much vacation you enjoy). 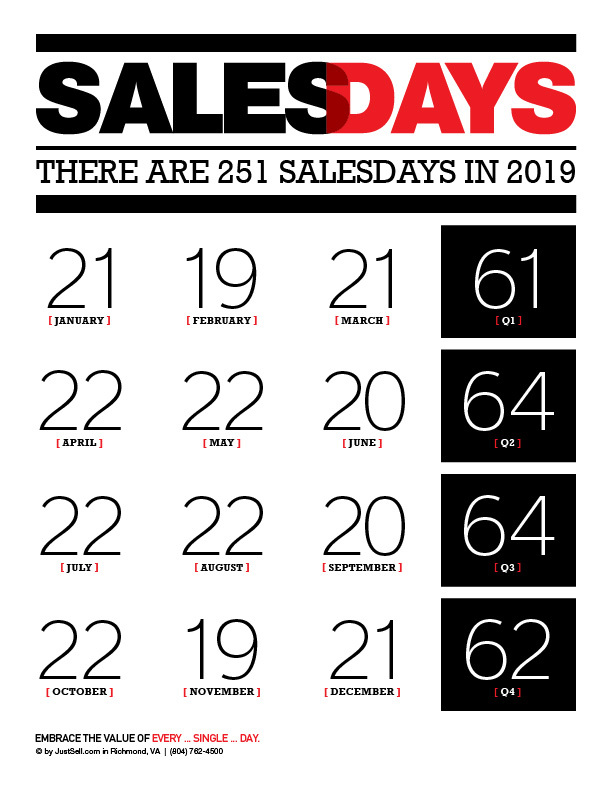 To lose only two salesdays each month to apathy or laziness would be to lose more than a full month of salesdays each year (2 x 12 = 24). 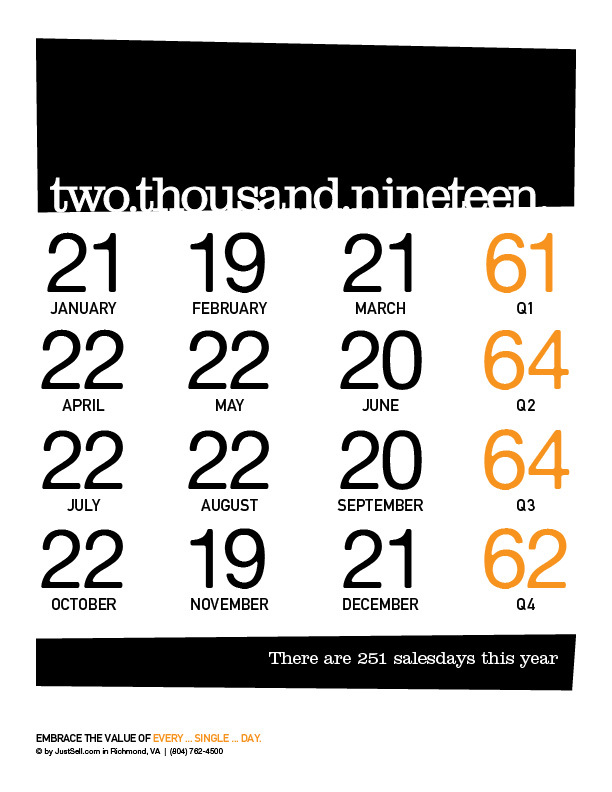 Imagine if your income (and opportunities) reflected your slow days and know that in the long run, it probably does.